The bar for Weather Systems has been set pretty high, but Daniel Cavanagh from the band is certain that the album will exceed these lofty expectations, stating, "It feels like we are at a creative peak right now, and this album reflects that. Everything from the production to the writing to the performances are a step up from our last album." He continues, "This is not background music for parties. The music is written to deeply move the listener, to uplift or take the listener to the coldest depths of the soul." The intertwining melodic structures of these profoundly beautiful songs are intensely powerful, yet simple. These are songs that will transport the listener closer to the heart of life, that is to say, to the heart of themselves. It is also an album of polarity. The play of opposites; light and shade, birth and death, love and fear. The simple truths of life and loss, hope and strength and darker internal themes are all explored here. The album was recorded in Liverpool, North Wales and Oslo, each place significant to Anathema past, present and future. The record was produced and mastered by five-time Norwegian Grammy nominated Christer-André Cederberg (ANIMAL ALPHA, IN THE WOODS..., DRAWN), who Daniel has described as, "a revelation. His calmness and brilliance has helped to bring about the greatest inter-band chemistry that Anathema have experienced together in their career." This career stretches back to 1990 when the band formed in Liverpool. Since then the band have embarked on a remarkable musical journey, initially emerging as pioneers of melodic heavy music and continually evolving over the ensuing years, always remaining true to their original goal of creating forward thinking, meaningful, passionate and honest music. 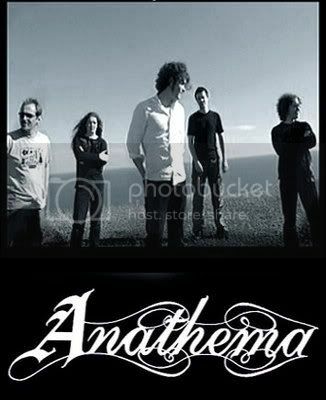 Anathema are a collective of two families; brothers and childhood friends. 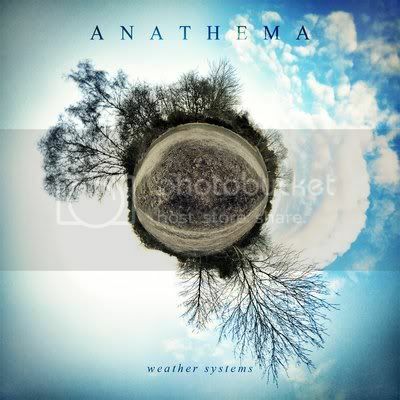 This album will please fans who call for more of Lee Douglas’s vocals, as her role within Anathema’s brand of alternative, melodic rock has matured to become an integral energy. In this way and more, Weather Systems is the sound of a band finding their voice and growing in stature, moving further along their artistic path with a truly stunning musical vision. Their best ever work? "Not yet", says Daniel, but he does believe that with Weather Systems they have surpassed previous glories; "We are pleased and proud of the record and we feel that, alongside the best moments of WHBWH, this record contains our very best work so far in what is becoming a long career."